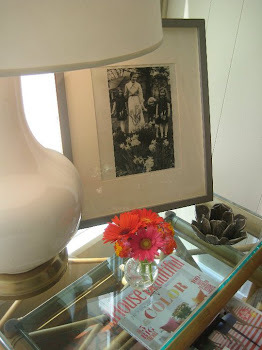 LUCY WILLIAMS INTERIOR DESIGN BLOG: BEFORE AND AFTER: VIGNETTE REDO!! OLD BENCH WITH MY FUTURE TRIM DESIGN....USED MASKING TAPE....LOVE MASKING TAPE! THIS KITCHEN SPACE IS IN THE CENTER OF THE HOUSE-ONLY ONE WINDOW.....BUT NEW SHINY VELVET ON BENCH HAS AN ILLUMINESCENT (IS THAT A WORD?) QUALITY THAT GLOWS-I LOVE IT! So pretty...... your home is like a breath of fresh air. Love it! Wow! I love love LOVE the fabric on the chairs! Gorgeous! thank you catherine! when i found this fabric i knew i had to find a place for it! Lucy, it was beautiful before and it's gorgeous after!! Love it!! so glad you like-thx olivia! I was waiting for your approval-yay !